Like Us on Facebook and Instagram to Receive Special Offers! 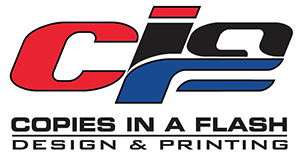 "The staff at Copies in a Flash are executive amazing to work with. I know that anytime I place an order it will be done timely, and the quality will be fantastic! You have a customer for life. Thanks for everything you do!" - Beth N.
"Quality, fast service and competitive pricing! We use them for all our business needs." - Megan H.